For the first time in about a month I ventured out today for a morning's birding. Apart from watching the Olympics I've just been flat-out busy working harder for less money or travelling down to Margate to visit my mum, who hasn't been well. I really needed a few hours to take my mind off things so I took myself off to Staines Reservoir firstly and then later Staines Moor. The weather was warm and I was hopeful of a few decent birds – the odd Black Tern, or an occasional Osprey or Honey Buzzard flying overhead perhaps? I'd been up to the reservoir last Friday just before the sun went down and caught up with five Black Terns and 12 Common Sandpipers and this morning also proved to be a decent session. I met up with Staines uberbirder Bob Warden and initially all was quiet. Then a Hobby flew low over the western edge of the north basin, pursued by a very brave Swallow, who dive-bombed the predator for about a mile. Needless to say, the Hobby totally ignored it. Then a second Hobby appeared. I started to walk up to the eastern end of the causeway when Bob called me back. 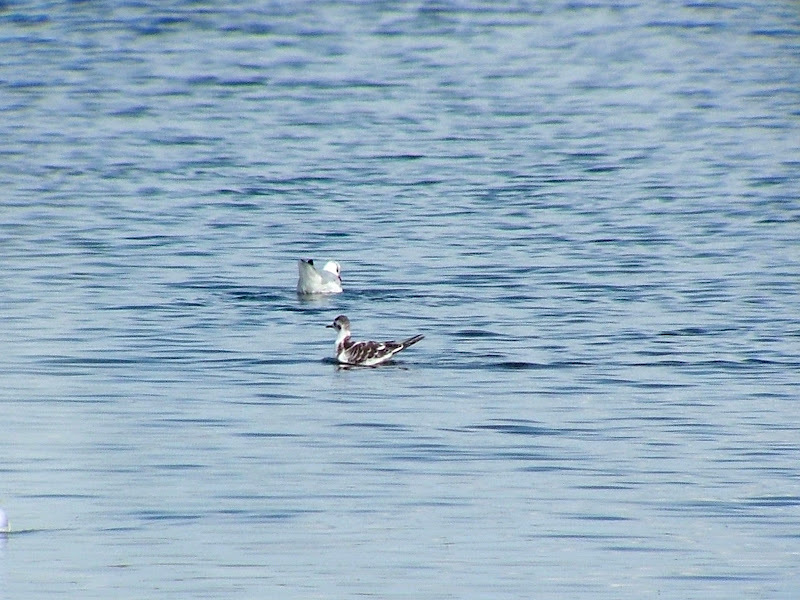 Two Turnstone were flying low and calling across the north basin, looking to land on one of the ramps but they chose not to. 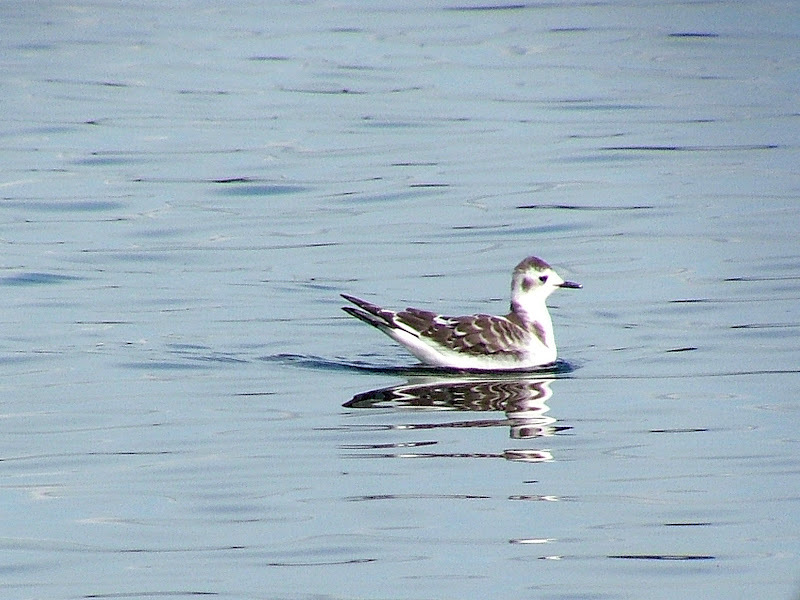 Up at the eastern end four juvenile Little Gulls were feeding on the south basin – Staines Reservoir is always a great place to see these smart gulls, but there was little sign of anything else. 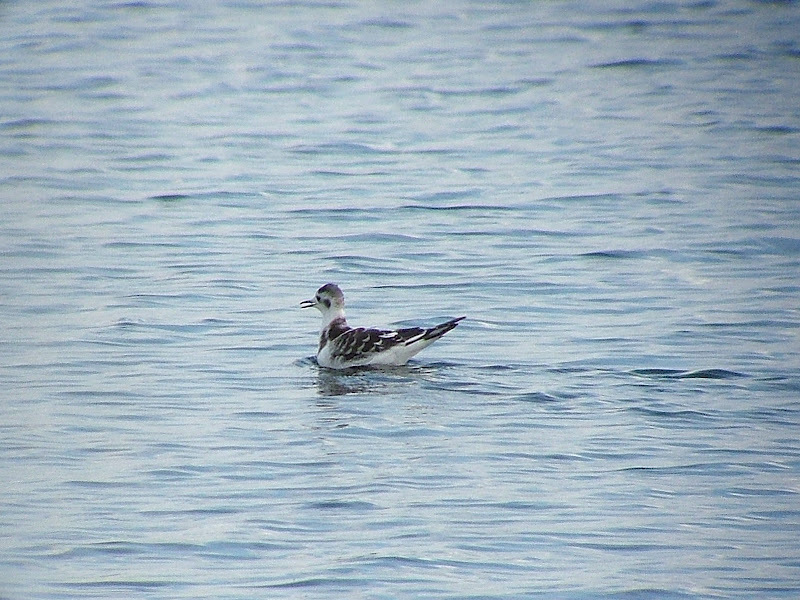 A Greenshank had been seen the day before but not today. 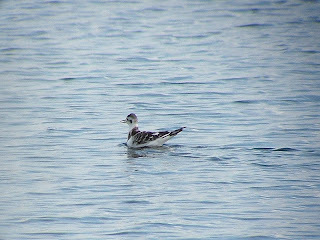 I haven't seen a Greenshank anywhere all year, which pretty much sums up my birding these past few months. Every year is different. Some years one particular species turns up almost at will, then the following year they are scarce. 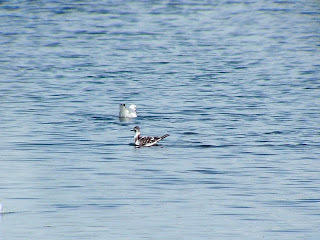 The Greenshank appears to fill the latter category in 2012. Where are they all? 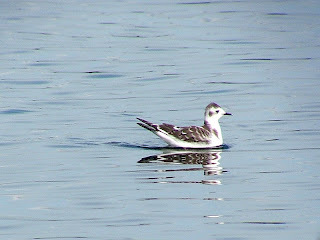 Bob rang to say another Little Gull was now on the north basin, and when I got back down the western end this young chap was swimming very close to the causeway. 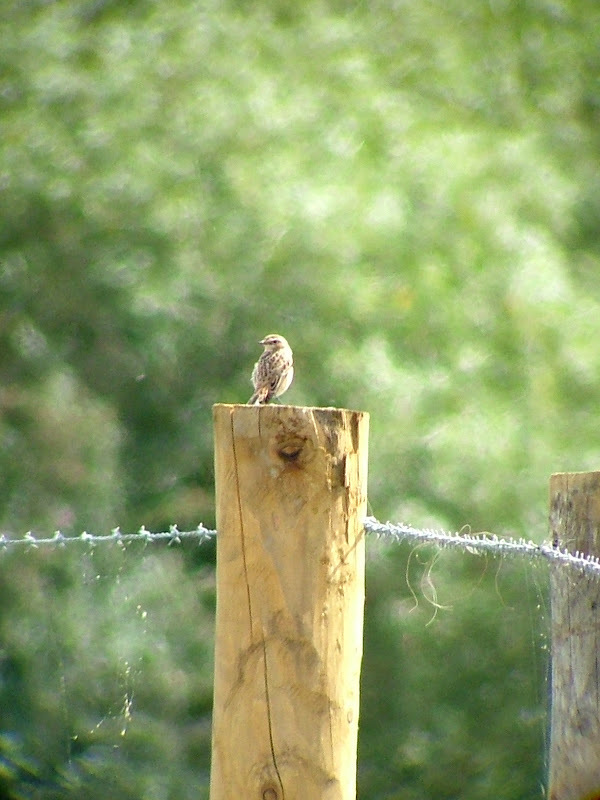 With time getting on I headed off to Staines Moor, where the target bird was Whinchat. 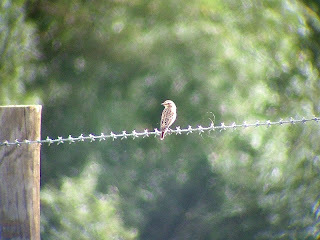 On the walk down the footpath, I saw a Hobby perched on a fencepost by the KGVI Reservoir. 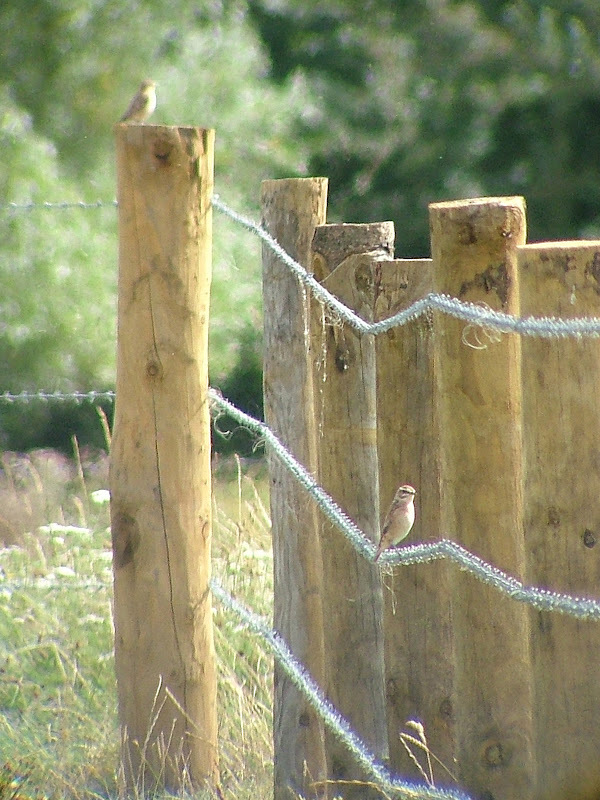 As soon as I arrived on the Moor itself I spotted a Whinchat on one of the fenceposts that have been erected by the River Colne at the northern end of the Moor. A walk round the site produced a Kingfisher, a Sedge Warbler and a juvenile Kestrel. No Black Kites or Honey Buzzards – they were the exclusive right of east London, with both seen at Rainham Marshes at about the same time I was again looking at a couple Whinchat. There's a bank holiday coming up and I'm desperate to catch up with a few lifers around the south-east. I can't decide whether to go to Grove Ferry in the hope of catching up with the Great White Egret (the Purple Heron would be good too), or take a punt and take a walk across the cliffs at Beachy Head, where anything could turn up. Where ever I go there is always the strong chance the other sites on my short-list will deliver the goods and I will draw a blank. But that is the nature of the beast.